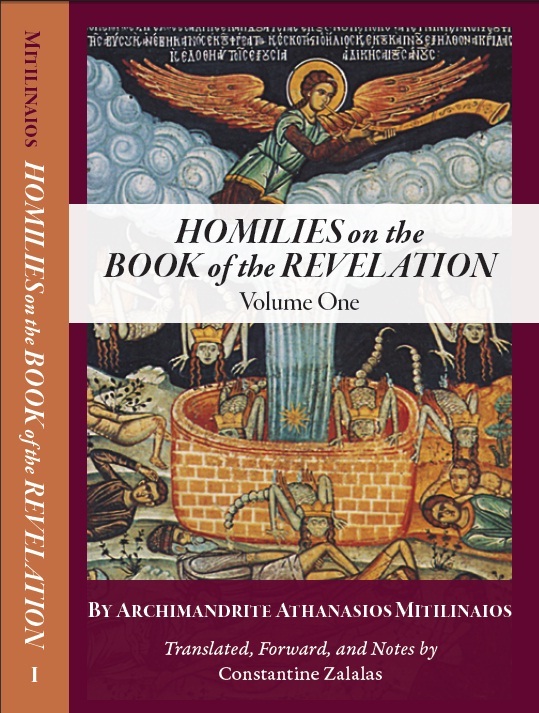 This volume contains the first 22 out of the 104 homilies on the Book of the Revelation given by one of the most prominent Greek preachers, Archimandrite Athanasios Mitilinaios (1927-2006). Fr. Athanasios presents an in-depth yet easy to understand patristic interpretation of the Book of the Revelation touching upon the problems of modern day life. Four more volumes of the commentaries are to follow. English. Translated and adapted from the Greek by Constantine Zalalas. Softcover. 6" x 9". 320 pp. Published by St. Nicodemos Publications, Bethlehem, PA.
$16 per copy, includes free shipping for Retail Orders in the Continental United States only.